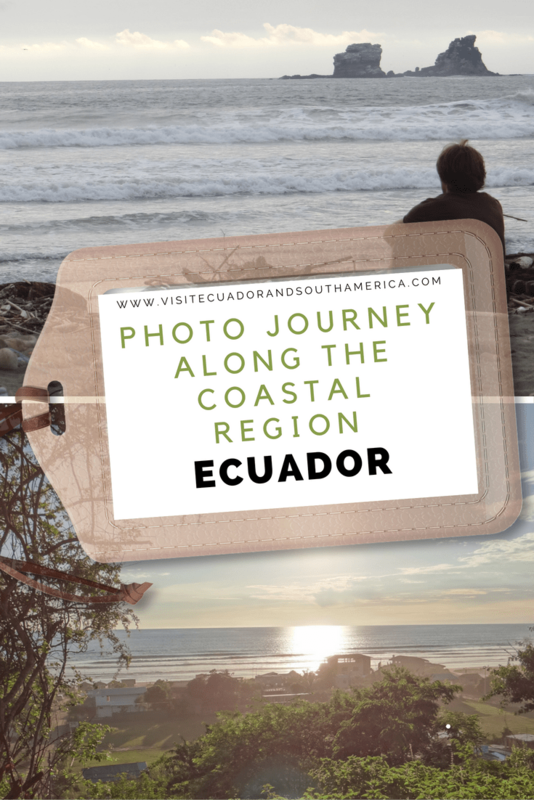 Photo journey along the Coastal region of Ecuador. I have spent most of my life spending the holidays at the beach and exploring the Coastal region of Ecuador. The tropical weather, the gastronomy, friendly people, vibrant city and beach life together with spectacular natural landscapes make the Coastal region of Ecuador so special. It makes me want to come back as often as possible. You can get there by bus which is cheaper but due to the weather, distances and safety in this region, I would suggest you book a flight. The “Simon Bolivar International Airport” in Guayaquil is just 10 minutes north of the city centre. If you arrive by bus during the day you can easily walk to the city or if it is already dark take a safe taxi or from there take the next bus. Some areas can be a bit dangerous, so please take care of your camera and other valuables and avoid going out at night alone. The Coastal region of Ecuador has 4 provinces and some of the activities you can enjoy include whalewatching in Isla de la Plata, relaxing or surfing at Montanita, partying and deep-sea fishing at Salinas and much much more. Enjoy some of the best places to visit in the Coastal region of Ecuador! Wide range of activities for all ages. Chocolate worlwide is made from Ecuadorian cacao beans”! Salinas, a popular beach in Ecuador. Inspiration for those who enjoy taking pictures. Flora and fauna from the region. A boat tour will allow you to admire more in -depth the sea life. The sea and the lush vegetation in the region. From the 18th century, charming streets full of history in Guayaquil. Remember that the sun is stronger around the equator, bring something to drink, a hat and sunscreen SPF 40 or more. Looking for a relaxing destination with white sand beaches, warm weather and activities by the sea? The options abound in the Coastal region of Ecuador! If you want more in-depth information and also a guide that you can bring along during your trip, I recommend the travel guide Lonely Planet Ecuador & the Galapagos Islands , it is a great source of information and tips, maps and all you need if you plan on visiting Ecuador. I personally like the option of having a hard copy version where I can take notes and have at hand. ⟵Paris: a getaway of culture and romance.